Justice Secretary David Gauke’s landmark speech at the Reform think tank set out his vision of a modern criminal justice system. In the speech he challenged the polarising view that there is only a choice between “soft” and “hard” justice; making the case that the focus should instead be on a criminal justice system based on the evidence of what actually works. 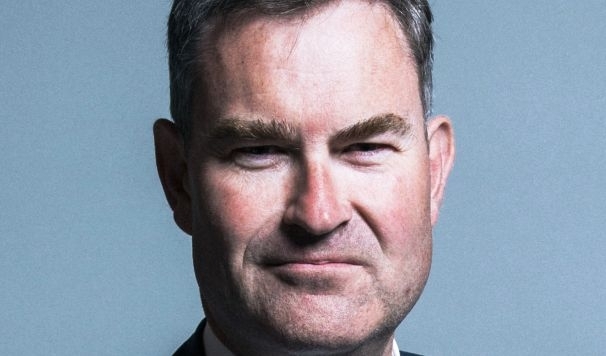 Mr Gauke was careful not to alienate potential political opponents, particularly those on the right of his own party, and stressed that he did not want to reverse tougher sentencing of serious crimes. However, he was explicit in cautioning over continuing to increase the length of prison sentences as a way of responding to our concerns over crime. Instead, he urged all those involved in criminal justice to “take a step back” and re-examine fundamental questions such as whether our sentencing approach reduces crime; if prisons currently maximise the chances of rehabilitation; and if we would be better served as a society to look for better alternatives to punishment to rehabilitate offenders. The central focus of the Justice Secretary’s speech was on the government’s intention to curtail the use of short prison sentences. This has been a political aspiration for governments of all colours for many years; particularly since austerity first bit in 2008. In simple terms, if we are to reduce public spending on the criminal justice system, the safest and most effective way to do so is by having many fewer people in prison. Since England and Wales incarcerate a larger proportion of our population than any other Western European country, many would argue that there is a safe margin to work with. A significant part of Mr Gauke’s speech was taken up by arguing the case (well-grounded in the evidence base) that good quality community orders can be much more effective (and also much cheaper) in rehabilitating minor offenders. “Other new technology and innovations are opening up the possibility of even more options for the future too. For example, technology can monitor whether an offender has consumed alcohol, and enables us to be able to better restrict and monitor alcohol consumption where it drives offending behaviour. He advocated more use of drug, alcohol and mental health treatment requirements in community orders. It is clear that the Justice Secretary understands that he will not succeed in gaining sentencers’ support for increasing the use of community sentences without restoring their confidence in the probation service, further hit by recent damning probation inspectorate reports. Although he ducked questions from the audience on this issue, he promised to “return to the issue later this year” and it is clear that the final re-design of the next stage of the probation reform programme known as Transforming Rehabilitation is still under active consideration. Mr Gauke did not set out any way forward for reducing the number of short prison sentences, saying he wanted to talk to judges and sentencers first. However, he did not rule out legislation and has clearly been emboldened by the YouGov poll commissioned by the Revolving Doors Agency which found there was cross-party support from MPs for such a move. Unsurprisingly, the Justice Secretary received plenty of plaudits from prison reform organisations for his speech. It appears that Mr Gauke has now committed himself to the goal of trying to reduce the number of expensive and counter-productive short prison sentences. How long it will take to find an effective mechanism to do so is far from clear. If he does have to resort to primary legislation, then there is the challenge of finding sufficient time in Parliament amongst all the demands of the Brexit process. Nonetheless, after the frequent changes in Justice Secretary over the last five years, it is heartening that Mr Gauke and the Prisons and Probation Minister Rory Stewart are starting to show real leadership. It seems only fair to leave the last words to Mr Gauke himself; this is how he concluded his speech: “Prison will always play a part in serving as punishment for serious crimes and in rehabilitation, and our reforms will deliver that. “But we need to think more imaginatively about different and more modern forms of punishment in the community. Punishments that are punitive, for a purpose.